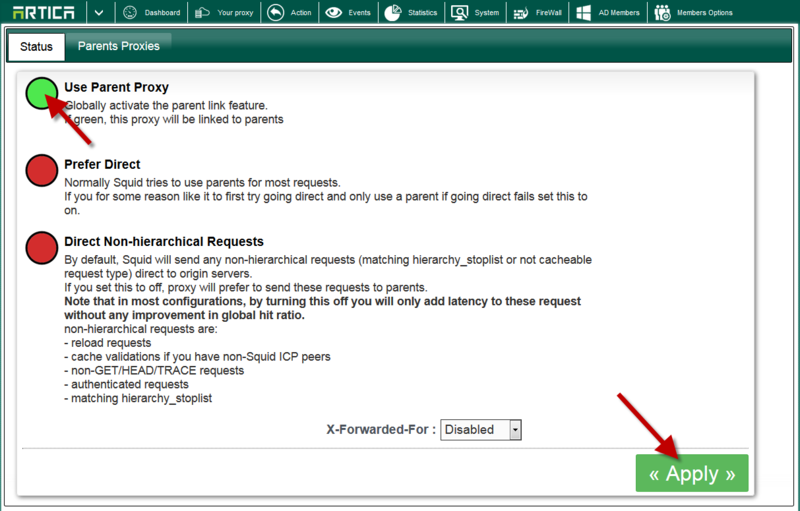 Home » Cache management » How to connect Artica to Luminati service ? 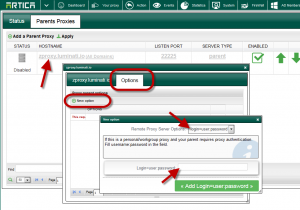 How to connect Artica to Luminati service ? 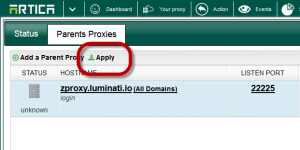 The Luminati service ( https://luminati.io ) is a business proxy network service. 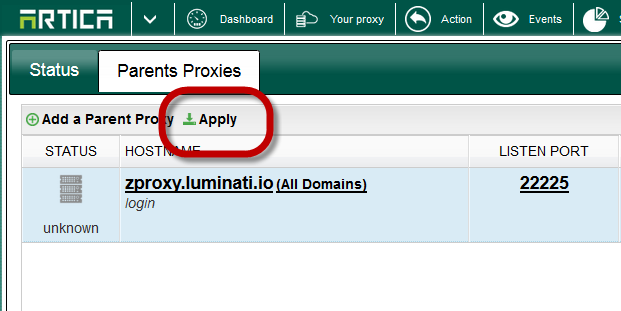 To use the luminati service, you have to fix the proxy hostname with the port and the authentification as Parent proxy. 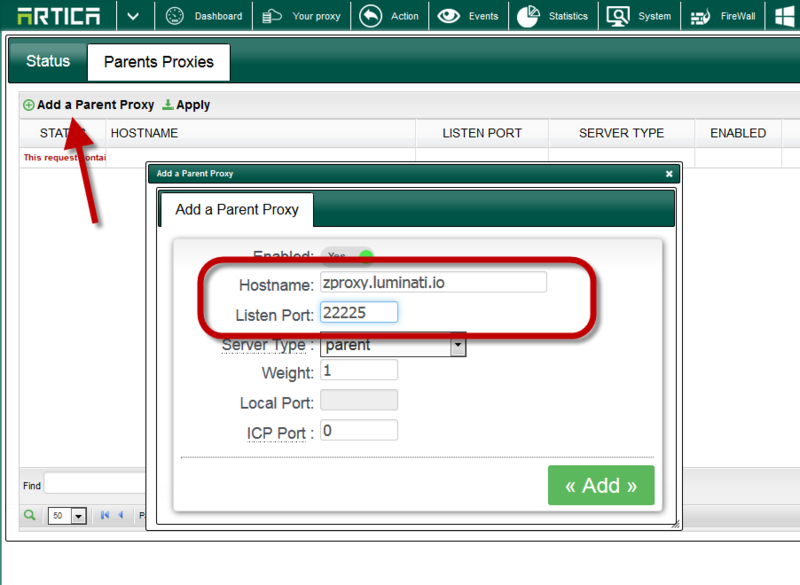 On the Parents Proxies section, click on Add a parent proxy button. 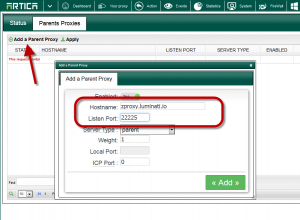 Click on the added proxy in the list. 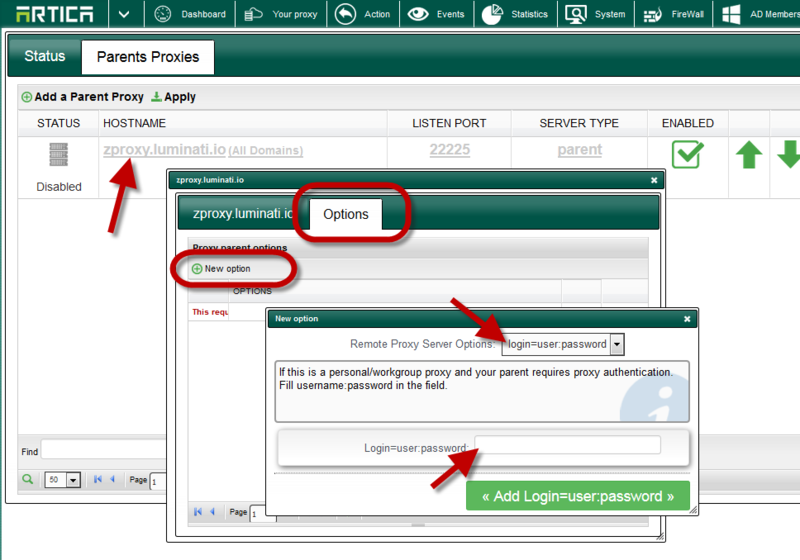 Click on the button to save the option. 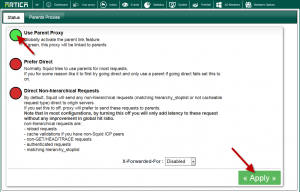 Click on Apply button on the table to make settings in production mode.